Barbara Porter occupies a special place in the history and life of St. Francis School. She is both Founder and Head of School, and it is her vision of education and attention to a child’s individual developmental needs which has always driven the excellence by which St. Francis has become known. Barbara is British-born, raised and educated in the north of England near the Yorkshire/Lancashire border. After graduating from the Victoria School of Education at Manchester University, she taught in London for a short time before taking up a teaching position in the United States. Prior to moving to Austin, Barbara spent time teaching in private schools in Indianapolis, Indiana and Sacramento, California. She also spent three years teaching English as a second language in Zaragoza, Spain. Austin has been her home for over twenty years. During most of this time she has been the Head of School at St. Francis. Since living in Austin, Barbara has spent a number of years volunteering for CASA (Court Appointed Special Advocates) and Hospice Austin. She is a graduate of the Leadership Austin class of 2000. 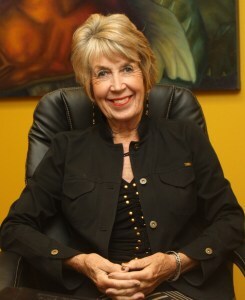 Currently Barbara serves on the Board of TAAPS (Texas Association of Accredited Private Schools). She is also a member of both “Town & Gown” and Rotary Club Of Austin. Barbara was appointed to the St. David’s Foundation Community Health Initiatives Board of Trustees and the St. David’s Foundation Community Leadership Board of Trustees. Having grown up as an ardent soccer, cricket, and tennis fan, Barbara enjoys watching all sports. Living in Lakeway she enjoys outdoor activities, especially those water related. Barbara enjoys traveling, reading, dining out, cooking, visiting with her son, Chris (a St. Francis graduate).